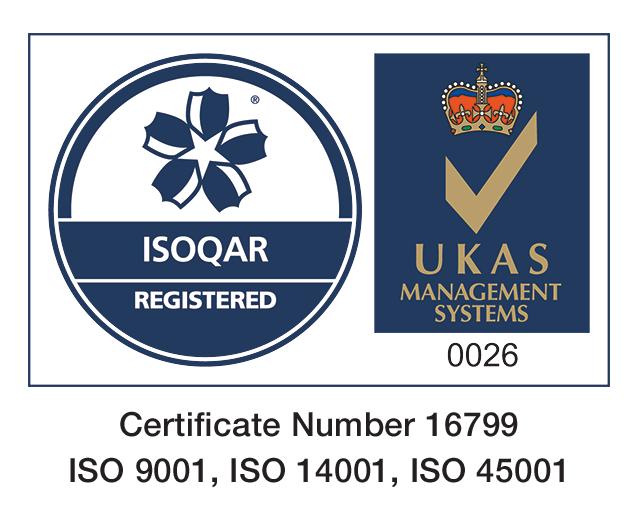 Concrete production process improvement specialist ConSpare has secured a trio of the latest ISO certifications, highlighting our commitment to operational excellence. 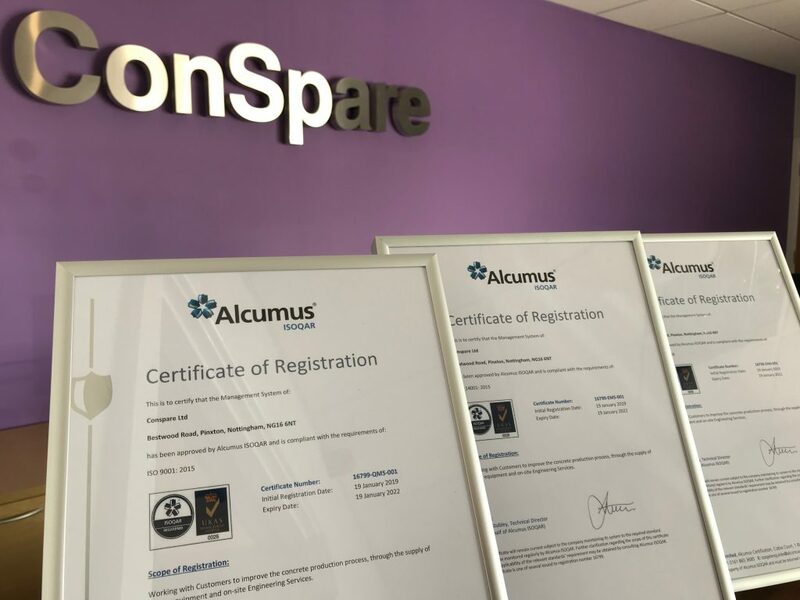 ConSpare was awarded the certifications by Alcumus, a compliance solutions provider that is accredited by UKAS, the UK’s national accreditation body for certification providers. ISO 9001:2015 provides a management framework to improve business practices, helping those who hold it to provide products and services that exceed their customers’ expectations. The standard prescribes systematic control of the processes that ConSpare uses, to help achieve greater efficiency and performance through improved customer satisfaction, staff motivation and continuous improvement. ISO 45001:2018 is the new international standard for occupational health and safety management systems. Achieving it ratifies ConSpare’s processes for managing risk and ensures compliance with legislation. And ISO 14001:2015 is the internationally-recognised standard for the environmental management of businesses, prescribing controls on activities which affect the environment. It sets out requirements for ConSpare’s environmental management system, enabling us to put in place a policy and objectives that consider relevant legal and CSR obligations. “We’ve been helping customers improve the concrete production process for more than 40 years and we’re delighted to have achieved these latest certifications, verifying the effectiveness of our internal processes.